Some fabulous postcards from around the world have arrived in my mailbox this autumn, via Postcrossing. Here are a few of my favorites. 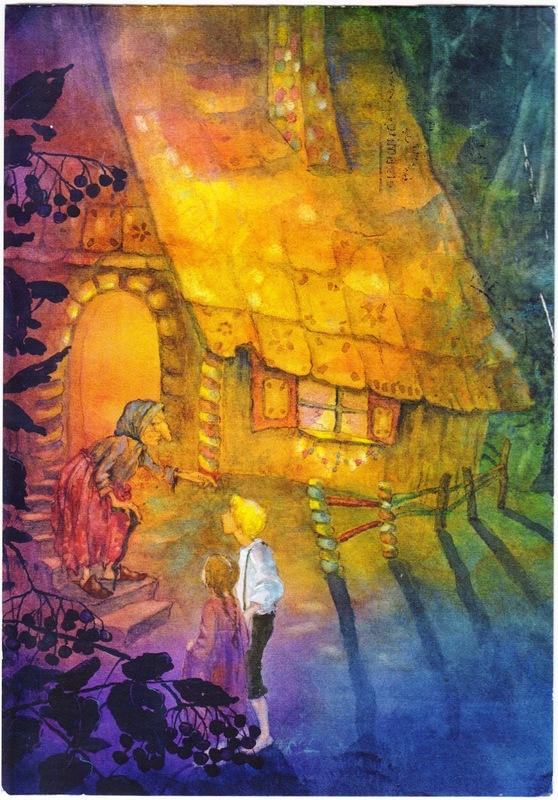 Rhoda Campbell Chase's 1914 illustrations for "Hansel and Gretel"
Above: This postcard came from Jasmin in Aachen, Germany. The illustration is by Scottish artist Anne Anderson (1874—1930) and is titled "The Miller's Daughter." It first appeared in a 1922 edition of Grimm's Fairy Tales. 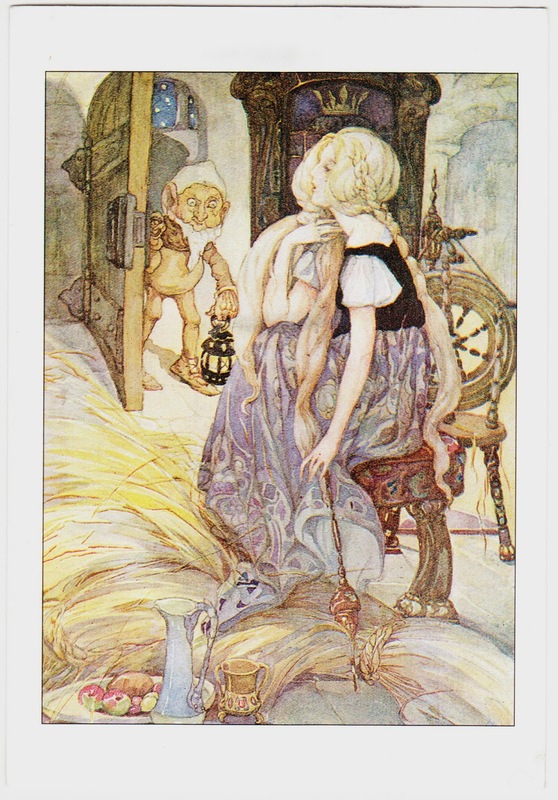 Anderson's illustrations, such as this one from "Rumpelstiltskin," have been used frequently on postcards. Above: This postcard came from 6-year-old Maya in Minsk, Belarus (with some help from her Mum). 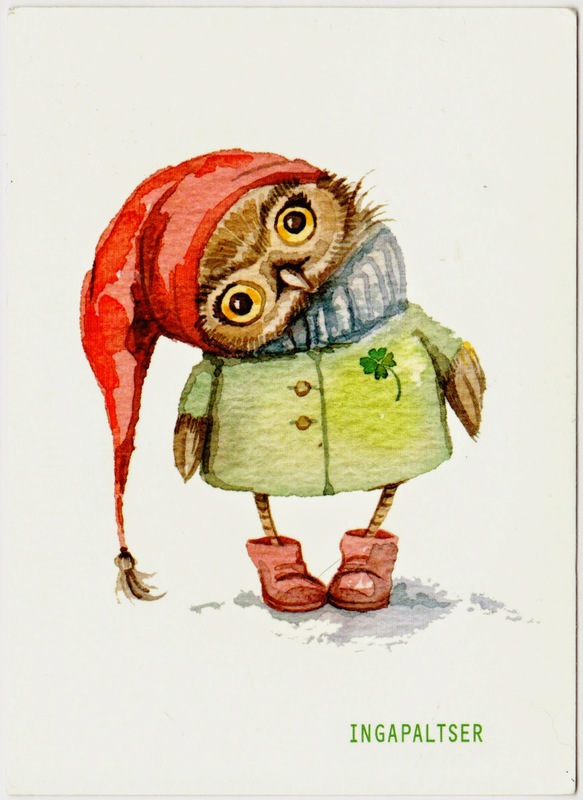 The owl illustration is by artist Inga Paltser, a painter from Severodvinsk, Russia. Paltser has a groovy website, a shop where you can buy her stuff, a blog and a Twitter account. And, by the way, making wonderful artwork is only her hobby. Her full-time job: research biologist.